Okay, admit it. If you’re the typical guy, you’re probably guilty of editing your workouts to include only those muscle groups that get judged most. You know, the ones that actually turn heads. You’ve been caught. We see you spending 30 minutes hitting the same muscles as always and 15 minutes hitting on the toned brunette on the leg press. The last 15 minutes are spent hitting on yourself in the mirror and possibly sneaking a “selfie” to post on Instagram #gymfreak4life. If this is you, then it’s time to stop using the pretty-boy training method and instead spend a little time developing some of those other areas that we often forget. Here are the five most often neglected muscle groups, and a set of simple fixes to get them up to speed. The Forgotten: Rear Delts. You’ve seen those guys—heck, maybe you are one of them. They show up at the gym to work their chest and their abs (quite intensely, in fact) and then head out the door. You think you’re getting great pecs and a six-pack with time left over to go to lunch. But what you actually end up with is a rounded back and tightened and shortened chest muscles. Bad posture isn’t pretty, and in the long term it also isn’t very safe. It’s time to fix that and get yourself standing up straight again. The Forgotten: Forearms. So, do you remember the last time you worked your forearms? Have you ever even worked them? If not, or if you’ve ever given a weak handshake, then you likely need to get on those forearms. Don’t worry—with a little consistency, great forearms and a firm grip can be in your future. Shockingly enough, my girlfriend goes crazy over my forearms. 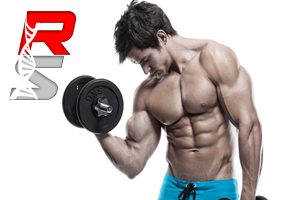 You’d be surprised what muscles the ladies drool over that you’re neglecting. The Fix: One of the first things you can do is get a grip, literally. Forego those lifting straps for awhile. Sure, they’re great for doing those heavy pulls, but leaving them at home for a while will force your forearms to work that grip and increase your strength. Another thing to add is wrist extension and flexion exercises. When you do this, remember that you want to keep the weight heavy enough to rep out in a set of around 10. That’s the hypertrophy (muscle-growth) zone. My favorite little trick I do is hold dumbbells out at 90 degrees and and rotate my wrists inward and outward. The Forgotten: Hamstrings. Are you ever worried about knee injuries? Or, maybe your knees have been “talking” to you a bit. One of the sure-fire ways to help protect your knees is to strengthen those hamstrings. Sure, you do your squats and leg extensions, but you need to add some extra work for hamstrings. The Fix: Try two of my favorite exercises—RDL’s (a.k.a. Romanian Dead Lifts) and physio ball curls. Both of these exercises require your glutes and lower and middle back to engage as you perform the work. They also require to you work your hamstrings in a somewhat unstable environment, which is a great thing for those who like to be active and want to ensure knee health. Most injuries occur when there is a muscular imbalance, an unstable environment, and an applied force—and the knees are no exception. The bonus: nicely developed hamstrings complete a great set of legs. The Forgotten: Calves. You know those little bird legs you have below the knee? Well, it’s time to stop contemplating implants or stuffing your socks. Instead, put in some good gym time to get them stronger and increase the size of your lower legs. To develop some good strength and size you’ll need to be a bit aggressive with the heavy weights during your calf workout. You don’t want to be that guy with the muscular top that doesn’t match the bottom. Awkward. The Forgotten: Cardio. Ok, this isn’t about a specific muscle group, but I put it on the list because I believe that most guys generally don’t do enough cardio work (if any). The only time cardio comes to mind is during a lean-out phase or in a nightmare. Truth be told, a strong cardiovascular system will help keep you healthier. It’s that simple. And, of course, it’s also a great base for any training that you do, including strength training. Frequency: Ideally, you want to be doing some cardio 3-5 days a week. This is best to do after weight training so you don’t deplete your endurance and strength up front. Time: It is estimated that it takes 15 minutes for the body to properly respond to cardio. Anything prior to that is like scratching the surface. You want to push for 30 minute sessions, even if not all at once. Type: To help keep your body constantly guessing and prevent it from acclimating to workload (and to keep yourself sane), you want to change up what type of cardio you are doing. In fact, you can do various types in one day. Just make sure you get it in.